When selecting an incremental encoder, you must determine which type of output is required in order to be compatible with the device that will be receiving the encoder signals. Choosing the wrong type of output will result in a non-functional system and possibly hardware damage. Learn more about the difference between absolute and incremental encoders. Below is a brief explanation of the major output types for incremental encoders. 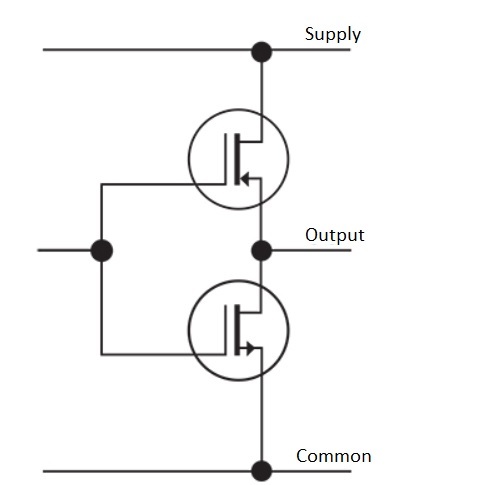 TTL stands for Transistor Transistor Logic and is also referred to as balanced differential line driver outputs. TTL provides an RS422 output signal level, which will be +5VDC when active (on) regardless of the supply voltage level. In other words, for any input voltage, you will get the output as either 0 volts in a low state, or 5 volts in a high state. RS422 differential outputs provide excellent noise immunity, the ability to use long cable lengths, and fast signal response. The supply voltage on most encoder models is 4.5 – 5.5VDC, or 10 – 30VDC. HTL stands for High Transistor Logic. This circuit uses two transistors in a Totem configuration to generate the output channels, ensuring the signal is high or low. The output voltage level equals the supply voltage when active (on). When inactive (off), the signal is pulled to supply common. This output type is used when the motion controller, PLC, or other receiving device requires 12V or 24V level signals. 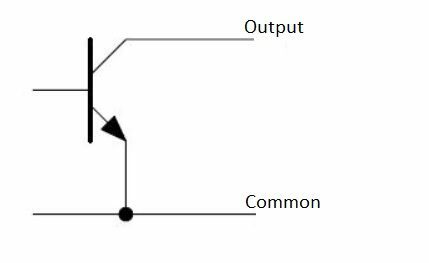 Open Collector NPN is a sinking output with a floating signal level when the output is not activated (off). When activated (on), the signal is pulled low. This is a simple circuit design that can be used in applications with short cable lengths. Open collector is typically more susceptible to electrical noise than TTL or HTL. SICK offers encoders with several output options, including models with the ability to be programmed for the desired output type. This is a great advantage, allowing one encoder model to be used for multiple applications, thus reducing the number of spares required. In addition to output type, SICK programmable encoders like the DFS60 also allow you to change pulses per revolution, counting direction, and marker attributes. Need Help Selecting an Output Type? Please contact techhelp@sick.com for assistance with selecting the output type for your application. Jay has over 20 years of experience in the motion control and industrial automation industry as a systems engineer, programmer, product manager, and industry manager. Outside of work he spends most of time outdoors hiking/climbing or working on cars and motorcycles.